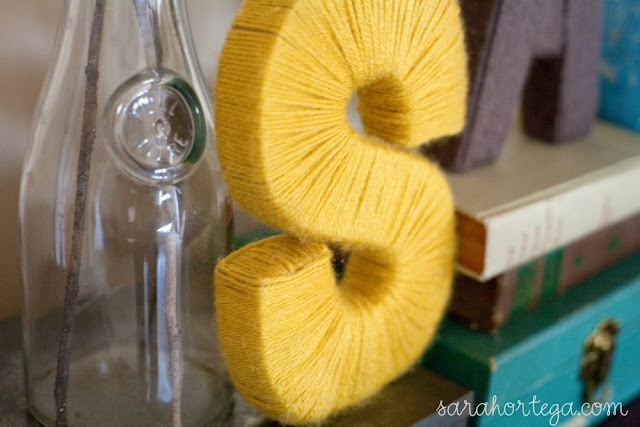 I am a big fan of yarn wrapped... everything! You can give ordinary objects a cool and aesthetic look simply by wrapping them in yarn and best of all this technique is inexpensive and easy to do. I also love monogram letters so how could I not help but combine the two? 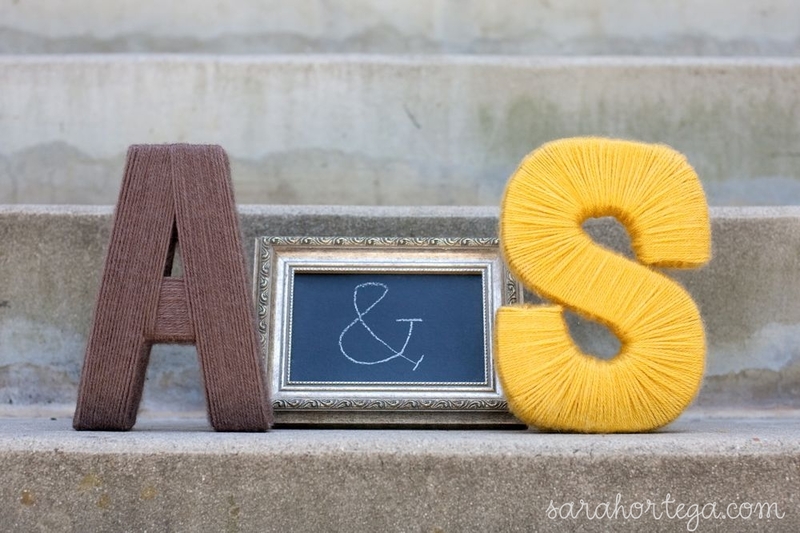 I had already made a monogram letter for our daughter so for this project I used the initials of my husband and I. Here are some tips if you want to make your own. Then I wrapped the yarn horizontally across the letter and finished it off by wrapping it vertically. I think they look great on the dresser in our bedroom, the texture and pop of color is just lovely. They also look pretty cool on the cabinet in our living room. - All of the items on the dresser and cabinet are thrift store finds! - I used this tutorial to make those colorful scrap paper branches. - What's that up top? Oh those are just some paper lanterns, tissue paper pom poms and coffee filter pom poms that I made and put up for Talia's first birthday bash. Why are they still up 6 months later? Because I like them :) They feel festive and party-ish and make me happy when I walk by them. I just might have to do this. 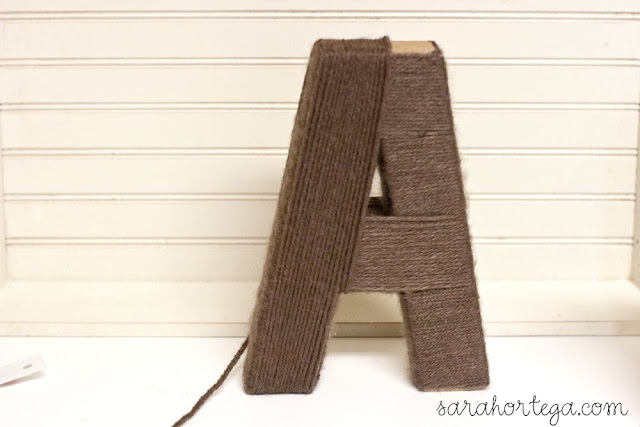 I'm a lover of yarn and at first thought this might look a little too thrown together, but yours look fantastic and turned out so well! Looks like I might have to try it out after all. 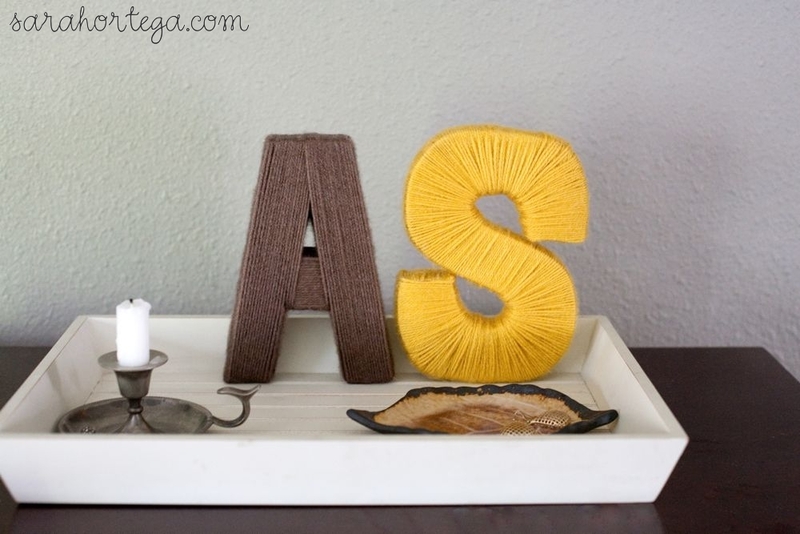 I love what you did with these letters!! I bought my daughter a very similar type of paper mache letter for Christmas and we haven't done anything with them yet. This idea is perfect!!! Thanks for the inspiration, your photo's are beautiful!! 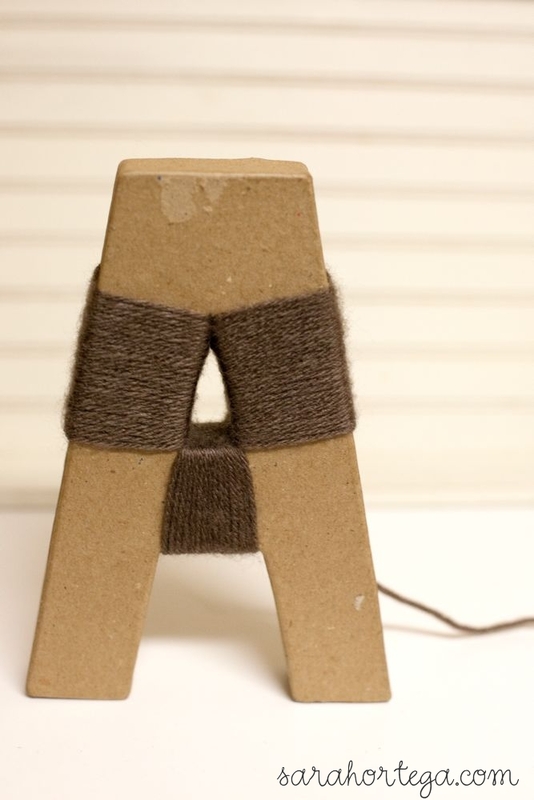 really cute :) love the idea. 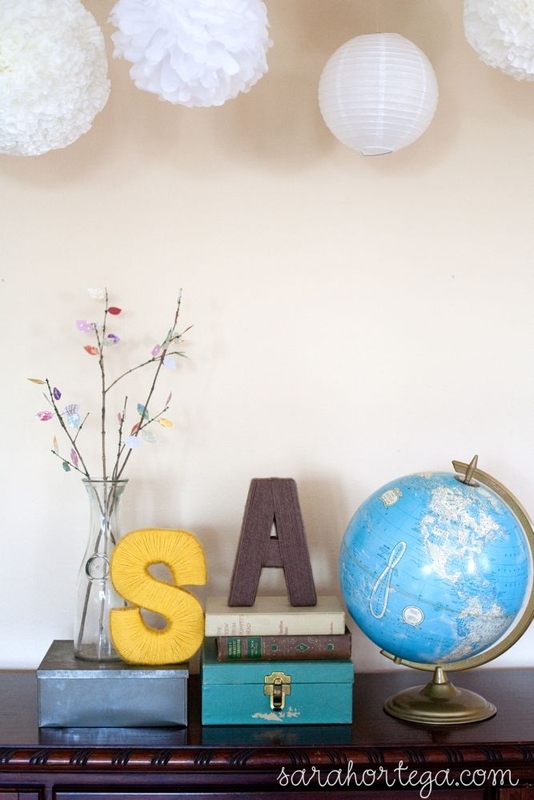 would be nice for party or wedding decoration or just around the house! Hi there! 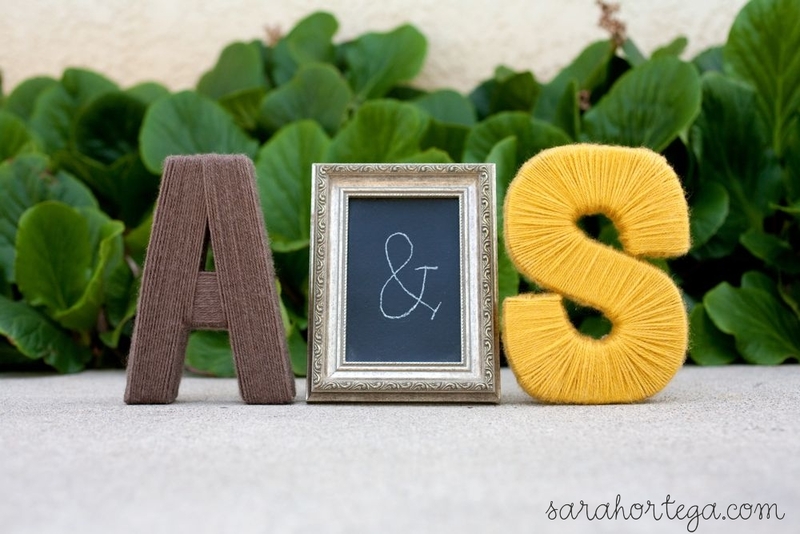 I just happened upon your blog from Pinterest because I am in the process of making yarn letters for my daughters' initials and I came had a hard time figuring out the A. I thought it was funny because I am doing an A and an S also for their first initials. Then I scroll down to read the tutorial and see the scrapbook paper tree... and that is the other project I happen to be working on at the moment. I thought it was a funny coincidence and wanted to share! Great tutorial. Thanks! These are great! 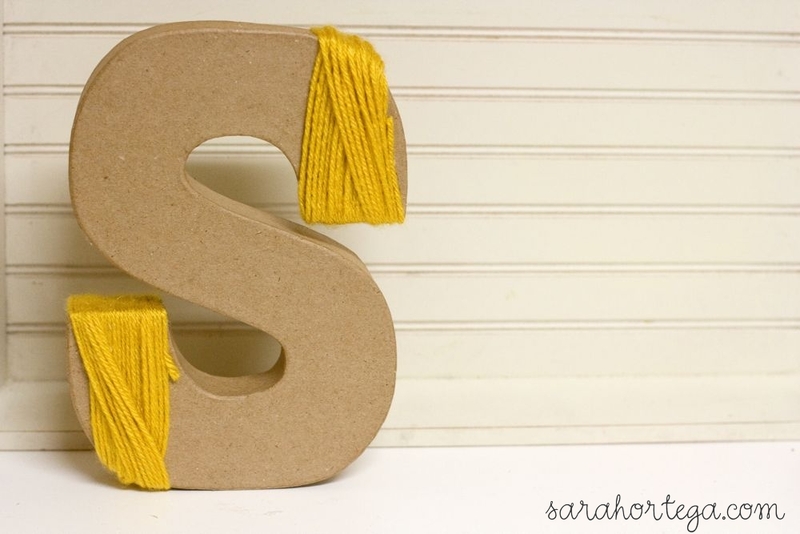 Where did you find your letters? 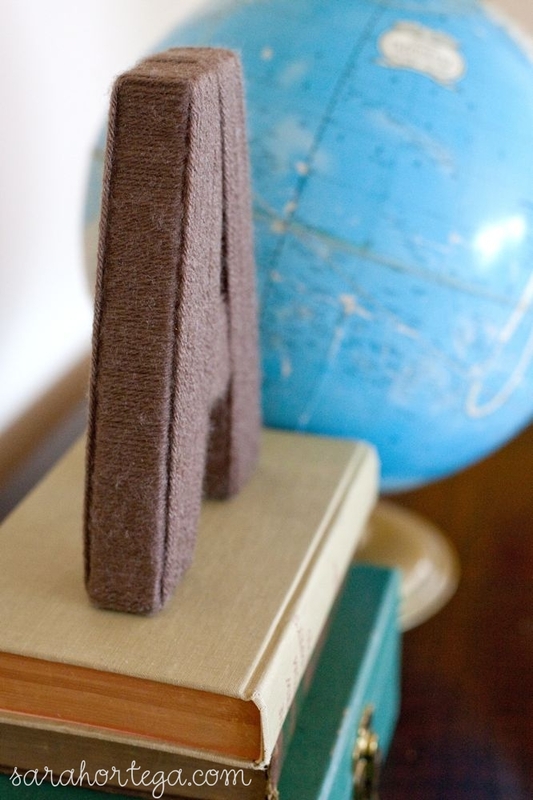 I have been looking for something similar but can't find anything as nice and blocky as these. 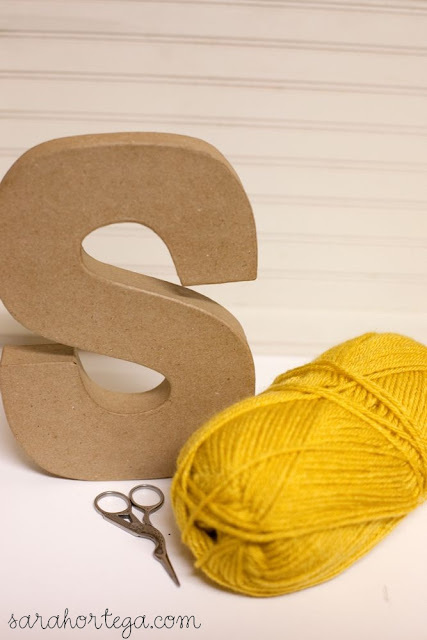 @katbird I got these letters from Jo Ann Fabrics. They sell them in different sizes too. Hope that helps! Question: Did you use any sort of glue or did you just tuck the yarn end when you started and then when you ended? Great job! I love this! 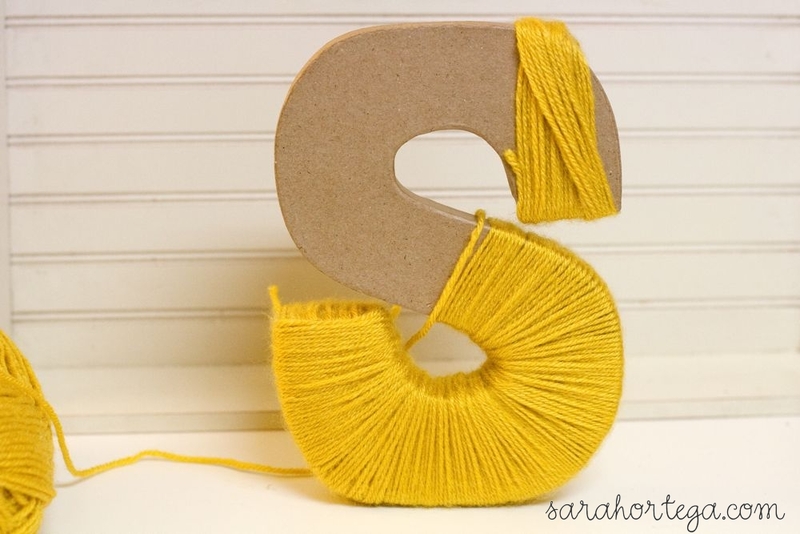 I'm moving into a new house and I wanted to make yarn letters and I happened to have needed both an A and S, so this was PERFECT for me. I looked around at your site and pinned so many things! love this! 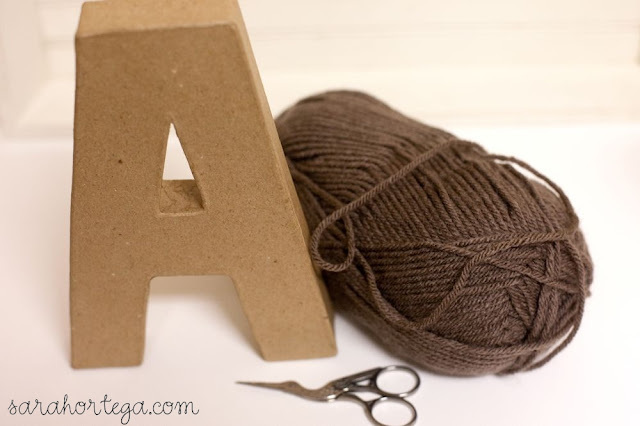 Did you need more then one package of yarn? One package of yarn was more than enough to wrap the letter. Glad you enjoyed the tutorial!